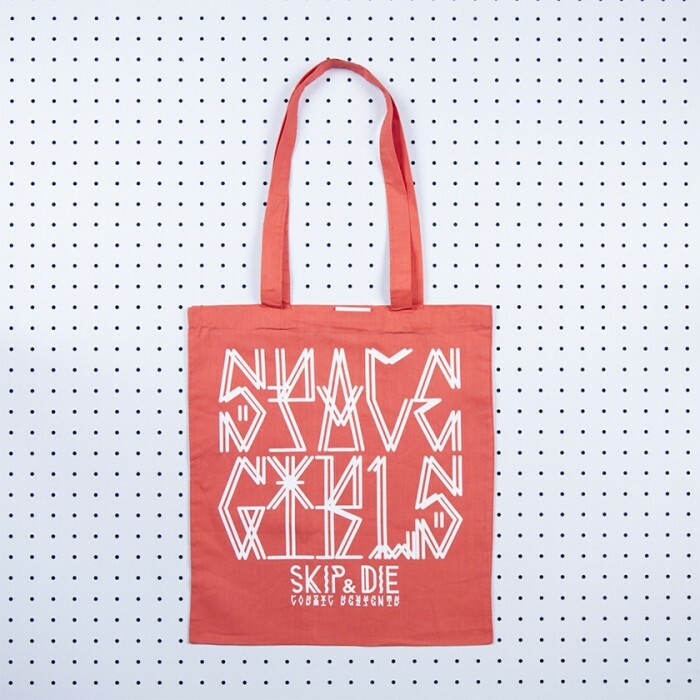 Let the cat(a) out of the bag with this original SKIP&DIE tote bag with the text ‘SPACE GIRLS’. 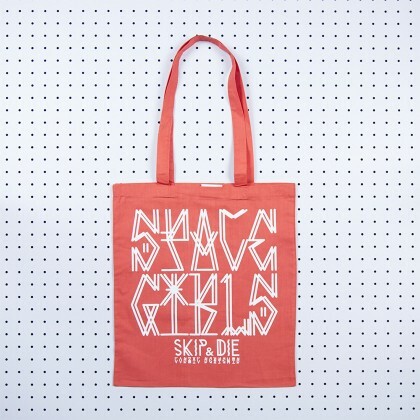 This bag is made out of 100% cotton canvas, in a lovely shade of bright red, or flaming pink, or slightly orange. It just depends what light you are in :). 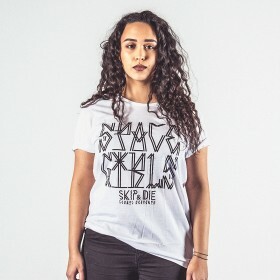 The print is on the frontside, so wear it with pride. 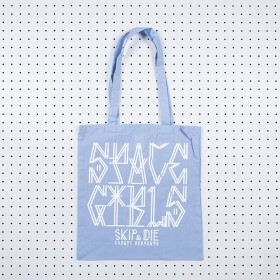 This bag is a delicate little number, so if necessary, dry clean only!